TRIO Student Support Services (SSS) offers proactive and holistic advising, and personal support from start to finish at Anoka-Ramsey Community College. We work to foster an environment supportive of the success of low-income students, first-generation students, and students with disabilities. This is a free service provided by a federal grant. Eligible participants must qualify as a first-generation college student, come from a low-income household, or have a documented disability. Participants must have earned a high school diploma or GED and must be a U.S. citizen, permanent resident or refugee. Unfortunately, PSEO and International students are not eligible to apply for this program. c. Print and complete an application, then deliver it to returned to the Information Desk. If you have questions call 763-433-1170, option 1, ext. 2 or visit the Information Desk for additional information. Please contact us if you are interested in applying. Call 763-433-1170, option 2, or stop by the TRIO office in Rm SC 122. "From the first day of registration, the entire TRIO SSS staff has been helpful every step of the way. As an older college student, restarting my education involved a complex barrage of paperwork and requirements. Without my advisor, I’m not sure I could have done it. Her patience, dedication, enthusiasm and mastery of the higher education system has been the single biggest factor in my success. The energy and resources that the entire TRIO SSS staff has invested in me has made my college experience more than I could have ever imagined. I am forever grateful." "My TRIO SSS advisor always gave me professional assistance and personal encouragement throughout the years. I still feel a welcoming atmosphere every time I visit the TRIO SSS office. 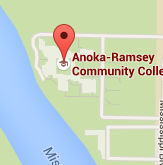 When I was a student at Anoka-Ramsey, my advisor helped me create my study plan so I could achieve my bachelor’s degree efficiently. I am very thankful for all their help, support and services. TRIO SSS is a valuable program that we have on-campus." 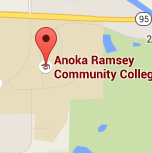 "Business is one of the best programs Anoka-Ramsey Community College has to offer, and it is also possible to receive your bachelor's degree on campus through its partnership with universities in the area. TRIO SSS jump started my academic career and ensured I got the most out of my time at Anoka-Ramsey. As a first-generation, non-traditional student, I was unsure of the logistics to obtaining a degree and frightened of the uncertainty. My TRIO SSS Advisor helped answer all of my questions, ensured I was taking the correct courses for my degree, made me aware of opportunities available on- and off-campus and aided in building my confidence. I will forever be grateful to the dedication my TRIO SSS Advisor has given me and the growth I have gained in the process."